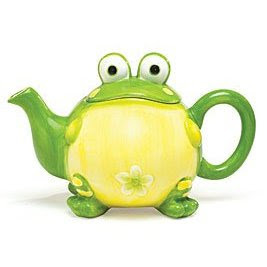 wheremmsgather: Kermit's at the Tea Party! I had so much fun making this card. I bought this SU lily pad wheel so long ago and I don't think I've ever used it. So, imagine my excitement when I saw Cindy's sneak peek last week that we'd be doing something with a frog and lily pads! Yep. It doesn't take much get me 'cited. I colored my Unfrogettable froggie with Copics, cut him out (he didn't feel a thing...really), and popped him up on dimensionals on his soft, cushy lily pad. Oh, and I gave him googlie eyes cuz they crack me up. 1. Lauraly (tie one on using ribbon). 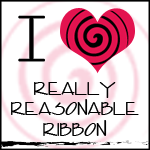 I first used my SU spiral punch on the side of my cardstock so I could do a different kind of ribbon weave. 2. Kittie747 (make a scene). I think this one is obvious. 3. 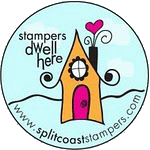 Becca Stamps (cut it out using punches, dies, etc.) 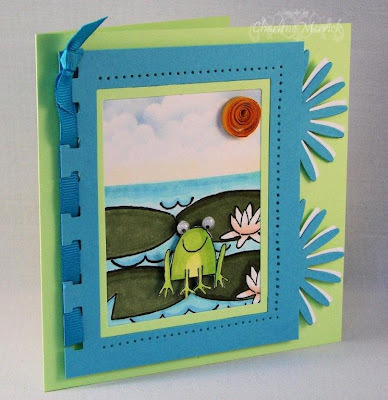 I used my square Nestabilities (reverse framing), my spiral punch, and my Sizzix daisy die. 4. DeborahLynneS (taken with texture). I used googlie eyes and I quilled the sun. Note: This is my first time trying quilling, which also fits the SCS Technique challenge from yesterday to quill, so I did something simple with a sun. 5. debdeb (moved by the music). I love all kinds of music and have been known to break out into song at the slightest provocation...much to the chagrin of my friends since I can't carry a tune very well. Deb challenged us to use our favorite song or any piece in general that moves us. 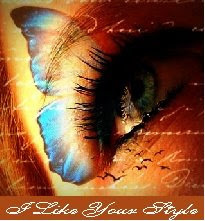 Like I indicated above, the lyrics to this song have a terrific message! 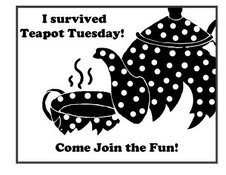 So, why not grab your stamps and creativity and join us at the tea party? Remember, we're floating on lily pads today, so you might want to wear an outfit that you don't mind if it gets wet. Sometimes the tea parties get a little rowdy (some of the guests---who shall remain nameless to protect their innocence---get a bit schnockered). I can just see some of the others trying to hop from lily pad to lily pad and dunking the guests. what a fabulous way to open your post. fortunately for me - i am blessed. i never faded into the background. i always keep (and kept) people laughing. now i have a little bit of "artsy" talent and even more "artsy" friends. could i want more???? i think not! and your card is spectacular! This is fabulous, Charlene!!! Beautiful layout and design!!! Cute card!!! What an accomplished card you have here my friend!! All those challenges rolled up into one great card! 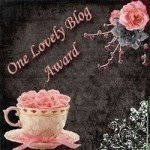 I love the frog scene and the way you threaded your ribbon!! Fabulous Charlene!! Oh, if this isn't the cutest Unfrogettable I've seen! So nicely done, Charlene. I agree with Joanne! It is the cutest little froggie ever! I love the way you did the flower/lily pad thingies on the side...it just screams FROG HABITAT! I came here yesterday and read your post and got side tracked at stupid work in the afternoon and had to catch up on commenting at night! Let's just start taking Monday and Tuesdays off, okay Bertie?? It is hard to be green, schnockered or not schnockered! So glad you were able to come this week. You are the life of the party! It's not easy being green... Especially if you don't know for sure what color of green you are. Are you Glorious GREEN, GREEN galore, Gable Green, Old olive, Garden GREEN, Certainly Celery....? I am of the opinion that you are Wild Wasaabi! What do you think? I love your little frog teaparty card. Especially the quilled sun. Charlene, your card is perfection for the tea party! Love the way you threaded the ribbon and your 'clouds' are the best I've seen! Love your adorable card! Awwww, your froggie is sooo cute, Charlene....I know he will have a blast at the party (especially if there are going to be little pink frogs hopping around!!)!!! Can't wait to hear you sing at the party...are you going to wear green, too??? ?